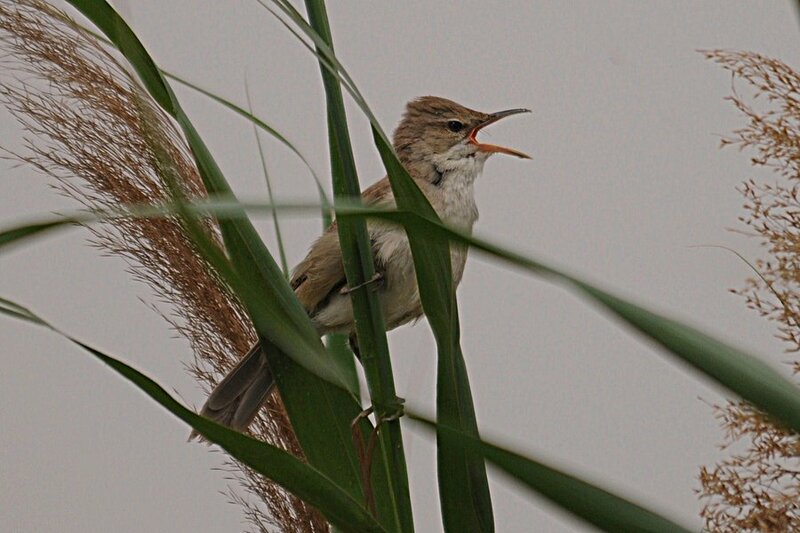 The Clamorous Reed Warbler is an early breeder in the Eastern Province of Saudi Arabia and a number of birds are singing at various sites including Sabkhat Al Fasl and Dammam Airport Pools. 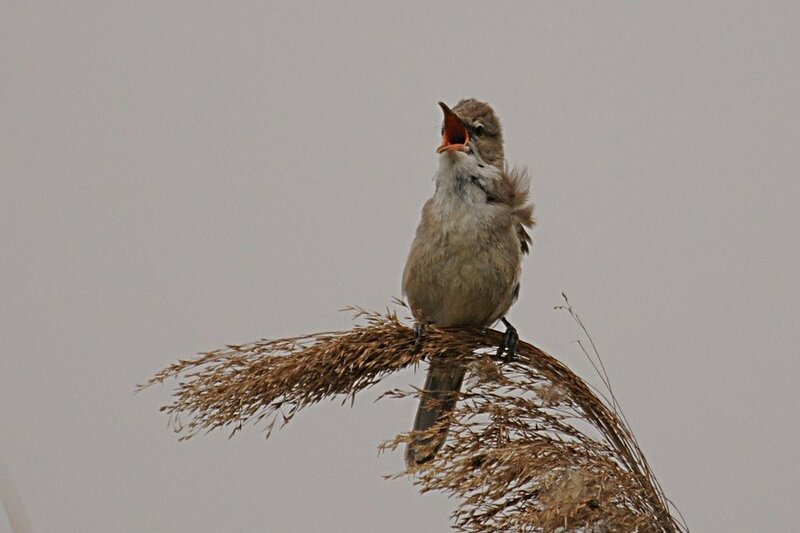 The song is heard in every month of the year, apparently, and birds caught in Bahrain in March had brood-patches indicating breeding. 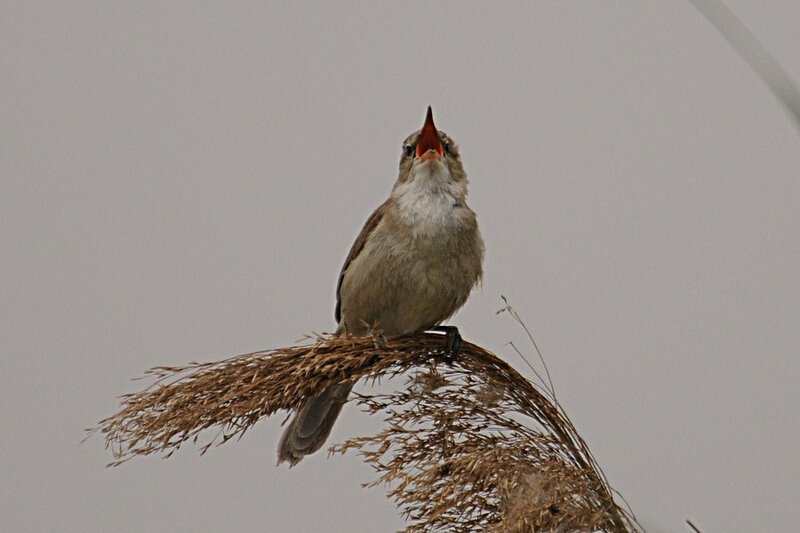 The birds like to hide most of the time in dense reed beds but when they are singing they often sit in exposed positions such as the top of reed stems. 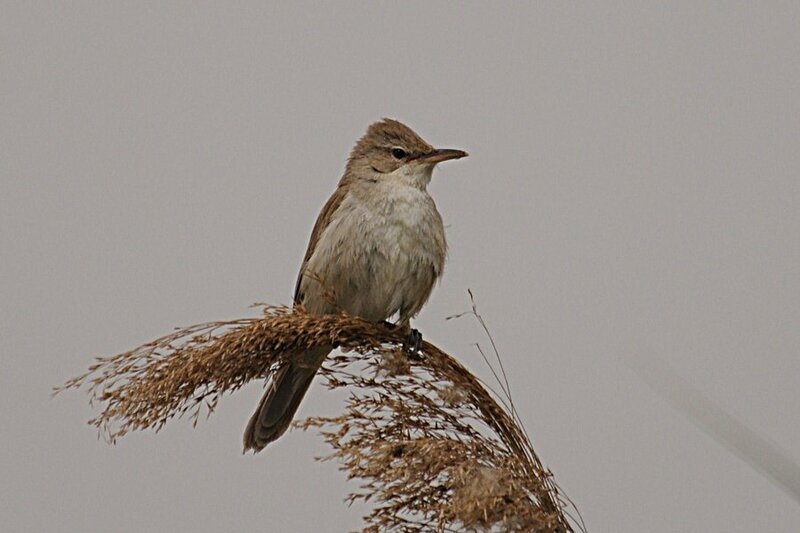 Birds bred at Dhahran Hills last year but the grubbing up of the reed beds at the site has prevented birds breeding so far this year although a few birds are still present. They are great birds to watch and are one of my favourite species that I have ringed so far. 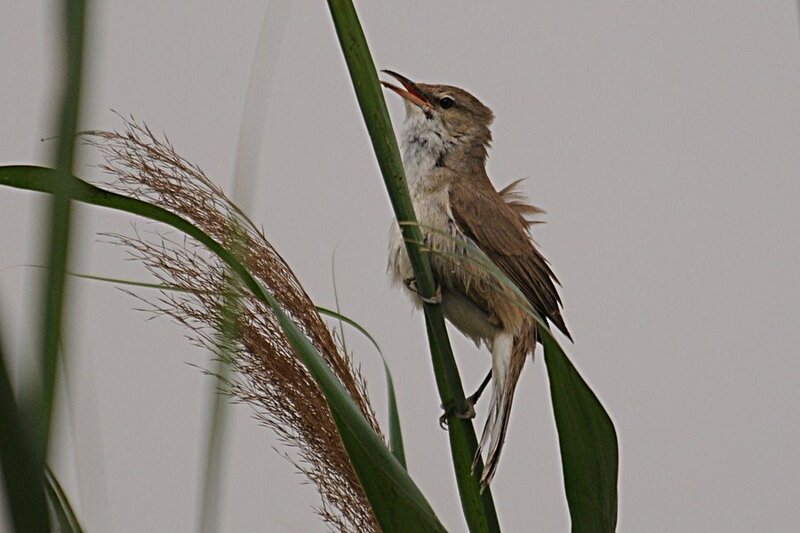 The below photographs show a bird singing from the top of a reed stem, in the early morning, a few days ago.